New Yorkers in need of public assistance provided by the city must navigate a maze of bureaucracy and paperwork. In an attempt to provide clarity and ensure that the neediest access available benefits, the Safety Net Project at the Urban Justice Center in collaboration with the Center for Urban Pedagogy today released a visual guide to the city’s welfare system. 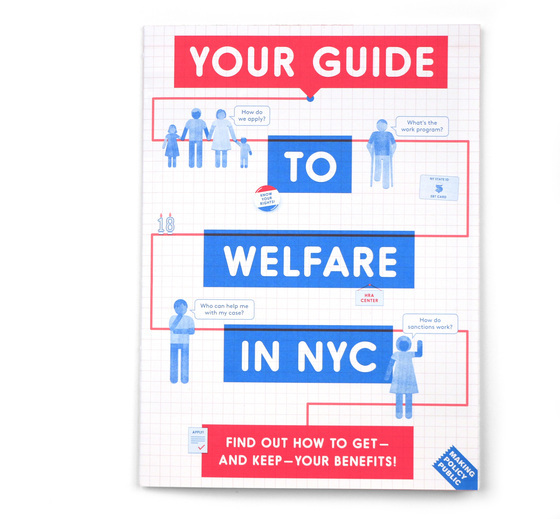 Titled “Your Guide to Welfare NYC,” the poster is designed to help the 350,000 city residents who rely on public cash assistance to access benefits and protect themselves when those benefits are in danger of being revoked. 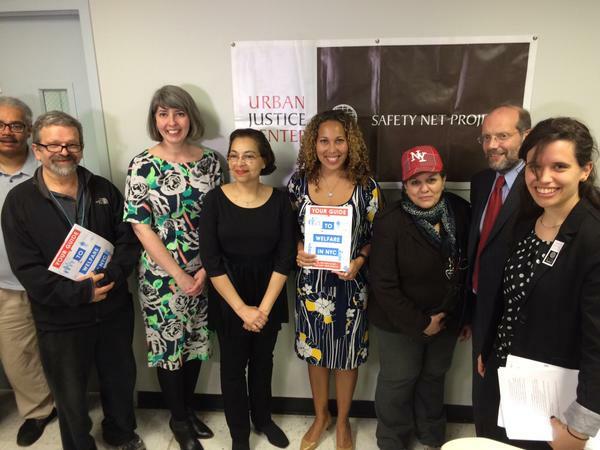 The Safety Net Project has printed 2,000 copies, a portion of which will be distributed today throughout the five boroughs while the online version of the guide is disseminated through social media and other channels. The poster - in red, white and blue - has a step-by-step visual guide divided into three easily readable sections with graphics. The first section lays down the basics of eligibility for benefits, how they are disseminated, and where to apply. The second section gives simple instructions for how to apply, including the documents needed and tips for visiting HRA centers. The final section shows people how to retain benefits, avoid sanctions, and settle disputes with HRA. Under Banks, who was appointed by Mayor Bill de Blasio, HRA has seen significant changes from past administrations. “After 20 years of administrations that showed disregard, some might say disdain, for people in need of assistance, there’s been a shift in outreach, policy and culture in the new administration,” said Safety Net Project’s Miranda. HRA has also been making efforts in easing the process of accessing benefits. Just last week, the city announced a new website, foodhelp.nyc, to help people apply for Supplemental Nutrition Assistance Program (SNAP) benefits, also known as food stamps. The city estimates that more than half a million New Yorkers qualify for SNAP but have not availed of them.